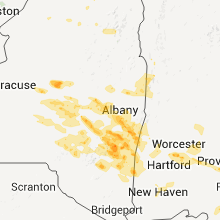 The Cheshire Village, CT area has had 1 report of on-the-ground hail by trained spotters, and has been under severe weather warnings 14 times during the past 12 months. Doppler radar has detected hail at or near Cheshire Village, CT on 10 occasions, including 2 occasions during the past year. 8/8/2018 6:18 PM EDT At 617 pm edt, a severe thunderstorm was located over monroe, or near newtown, moving east at 10 mph (radar indicated). Hazards include 60 mph wind gusts and quarter size hail. Minor hail damage to vehicles is possible. expect wind damage to trees and power lines. this severe storm will be near, monroe around 640 pm edt. Milford and shelton around 645 pm edt. 8/8/2018 6:00 PM EDT At 559 pm edt, a severe thunderstorm was located near redding, or near newtown, moving east at 10 mph. another severe thunderstorm was located just east of waterbury (radar indicated). Hazards include 60 mph wind gusts and quarter size hail. Minor hail damage to vehicles is possible. expect wind damage to trees and power lines. this severe thunderstorm will be near, bridgeport around 605 pm edt. trumbull around 625 pm edt. monroe around 640 pm edt. Milford and shelton around 645 pm edt. 7/28/2018 3:32 PM EDT At 331 pm edt, a severe thunderstorm was located over pawling, moving east at 35 mph (radar indicated). Hazards include 60 mph wind gusts and half dollar size hail. Minor hail damage to vehicles is possible. expect wind damage to trees and power lines. This severe thunderstorm will be near, sherman and new fairfield around 345 pm edt. 5/15/2018 5:07 PM EDT The national weather service in upton ny has issued a * tornado warning for. central new haven county in southern connecticut. middlesex county in southern connecticut. until 530 pm edt. At 507 pm edt, a severe thunderstorm capable of producing a tornado. 5/15/2018 4:57 PM EDT At 457 pm edt, a severe squall line capable of producing both tornadoes and extensive straight line wind damage was located near southbury, moving east at 60 mph (radar indicated rotation). Hazards include tornado. Flying debris will be dangerous to those caught without shelter. mobile homes will be damaged or destroyed. damage to roofs, windows, and vehicles will occur. tree damage is likely. these dangerous storms will be near, prospect and bethany around 505 pm edt. 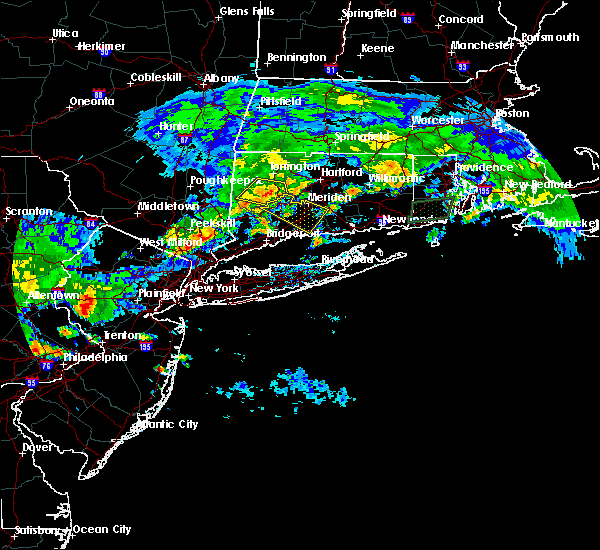 hamden and cheshire around 510 pm edt. 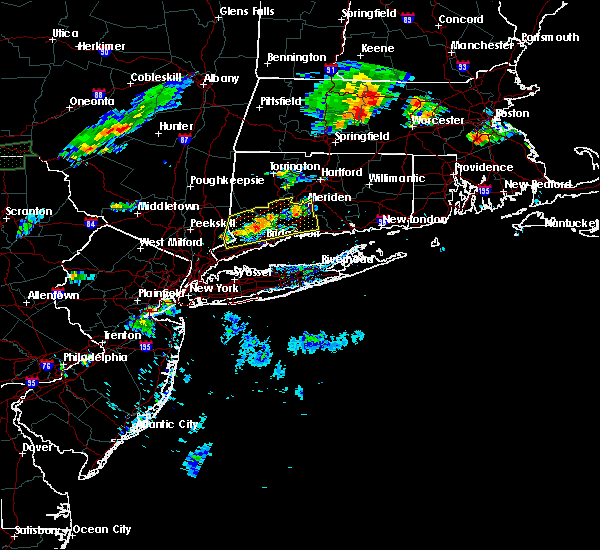 Wallingford and north haven around 515 pm edt. 5/15/2018 4:43 PM EDT At 442 pm edt, a severe thunderstorm capable of producing a tornado was located over new fairfield, or near danbury, moving east at 55 mph (radar indicated rotation). Hazards include tornado. Flying debris will be dangerous to those caught without shelter. mobile homes will be damaged or destroyed. damage to roofs, windows, and vehicles will occur. tree damage is likely. this dangerous storm will be near, southbury and seymour around 500 pm edt. waterbury and naugatuck around 505 pm edt. 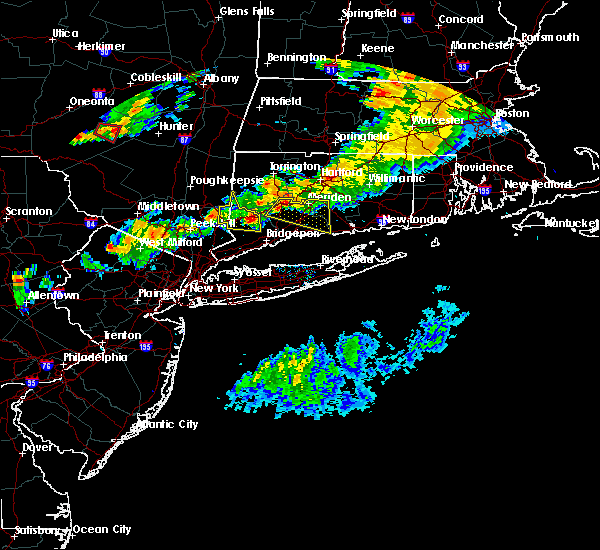 hamden and cheshire around 510 pm edt. Meriden and wallingford around 515 pm edt. 9/5/2017 7:32 PM EDT At 731 pm edt, a severe thunderstorm was located over brookfield, or near newtown, moving northeast at 30 mph (radar indicated). Hazards include 60 mph wind gusts and quarter size hail. Minor hail damage to vehicles is possible. expect wind damage to trees and power lines. this severe thunderstorm will be near, newtown around 740 pm edt. southbury around 800 pm edt. naugatuck and middlebury around 805 pm edt. prospect and beacon falls around 810 pm edt. waterbury around 815 pm edt. 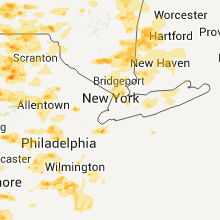 cheshire around 820 pm edt. wolcott around 825 pm edt. 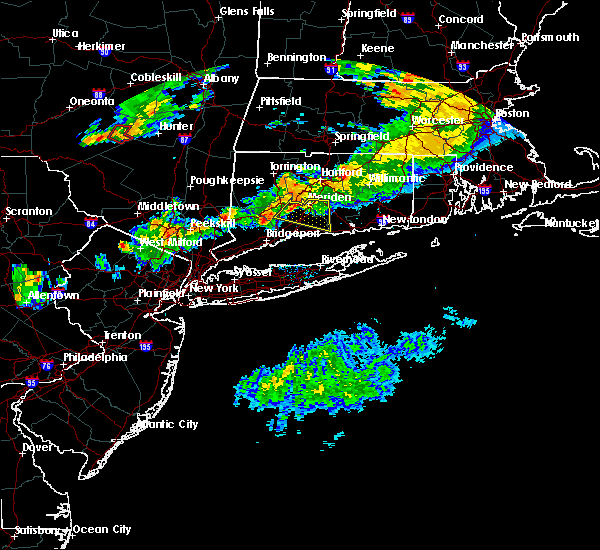 Meriden and southington around 830 pm edt. 7/13/2017 4:59 PM EDT At 436 pm edt, a severe thunderstorm was located near oakville, or near waterbury, moving southeast at 30 mph (radar indicated). Hazards include 60 mph wind gusts. Expect damage to roofs, siding, and trees. this severe thunderstorm will be near, waterbury and middlebury around 445 pm edt. naugatuck around 450 pm edt. cheshire and prospect around 455 pm edt. beacon falls and bethany around 500 pm edt. hamden around 505 pm edt. wallingford around 510 pm edt. 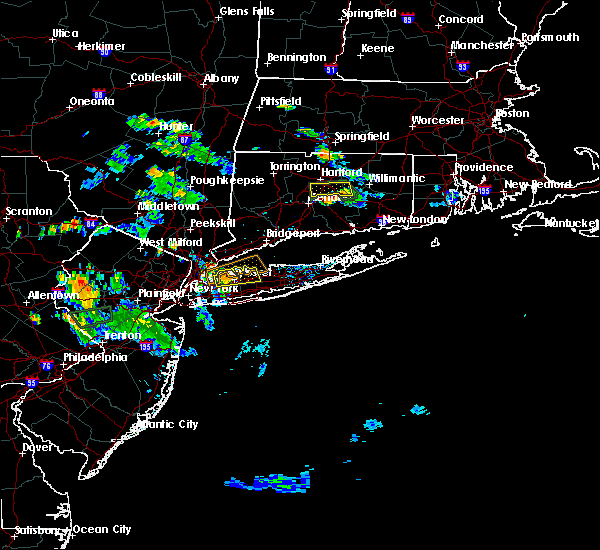 north haven around 520 pm edt. durham and branford around 525 pm edt. Guilford and killingworth around 530 pm edt. 7/13/2017 4:36 PM EDT At 436 pm edt, a severe thunderstorm was located near oakville, or near waterbury, moving southeast at 30 mph (radar indicated). Hazards include 60 mph wind gusts. Expect damage to roofs, siding, and trees. this severe thunderstorm will be near, waterbury and middlebury around 445 pm edt. naugatuck around 450 pm edt. cheshire and prospect around 455 pm edt. beacon falls and bethany around 500 pm edt. hamden around 505 pm edt. wallingford around 510 pm edt. 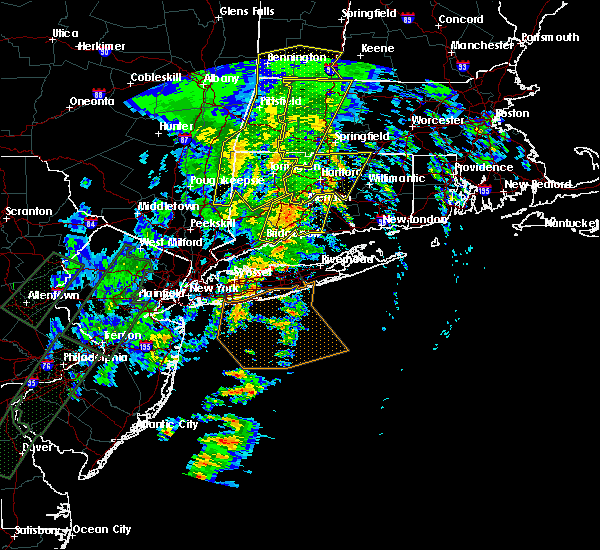 north haven around 520 pm edt. durham and branford around 525 pm edt. Guilford and killingworth around 530 pm edt. 6/30/2017 6:56 PM EDT At 656 pm edt, a severe thunderstorm was located over cheshire, or near meriden, moving east at 35 mph (radar indicated). Hazards include 60 mph wind gusts. Expect damage to roofs, siding, and trees. this severe storm will be near, wallingford around 700 pm edt. meriden around 705 pm edt. middletown and guilford around 710 pm edt. Killingworth around 715 pm edt. 6/30/2017 6:38 PM EDT At 637 pm edt, a severe thunderstorm was located over naugatuck, moving east at 40 mph (radar indicated). Hazards include 60 mph wind gusts. Expect damage to roofs, siding, and trees. 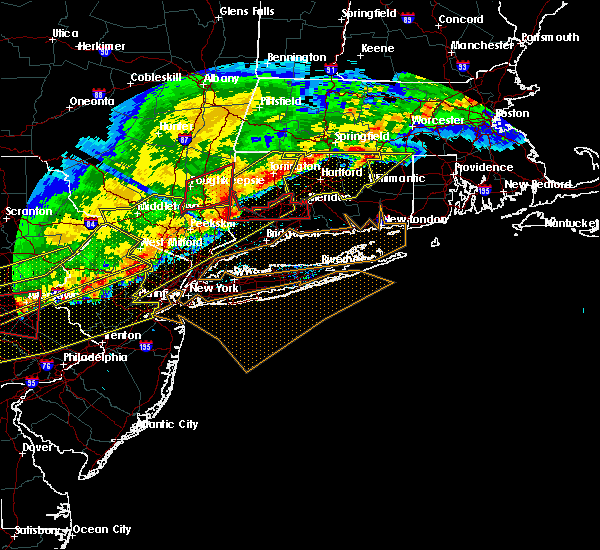 this severe thunderstorm will be near, cheshire and prospect around 645 pm edt. hamden around 650 pm edt. wallingford around 655 pm edt. north haven and middlefield around 700 pm edt. guilford and durham around 705 pm edt. killingworth around 710 pm edt. Clinton and north madison around 715 pm edt. 6/19/2017 6:22 PM EDT The severe thunderstorm warning for fairfield, western new haven and northern westchester counties will expire at 630 pm edt, the storm which prompted the warning has weakened below severe limits, and no longer poses an immediate threat to life or property. therefore the warning will be allowed to expire. however gusty winds are still possible with this thunderstorm. 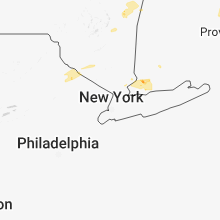 a severe thunderstorm watch remains in effect until 800 pm edt for southern connecticut, and southeastern new york. 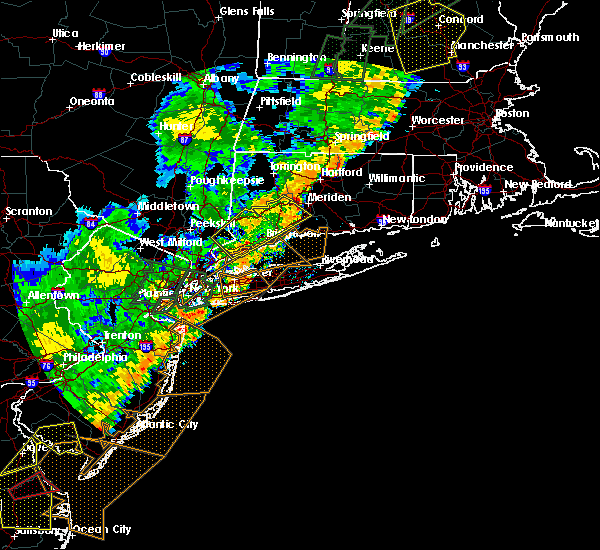 remember, a severe thunderstorm warning still remains in effect until 8 pm. 6/19/2017 5:57 PM EDT At 534 pm edt, a severe thunderstorm was located over new canaan, moving northeast at 45 mph (radar indicated). Hazards include 60 mph wind gusts and penny size hail. Expect damage to roofs, siding, and trees. this severe thunderstorm will be near, georgetown around 540 pm edt. weston around 545 pm edt. bridgeport and fairfield around 550 pm edt. trumbull around 555 pm edt. milford and shelton around 600 pm edt. orange and derby around 605 pm edt. 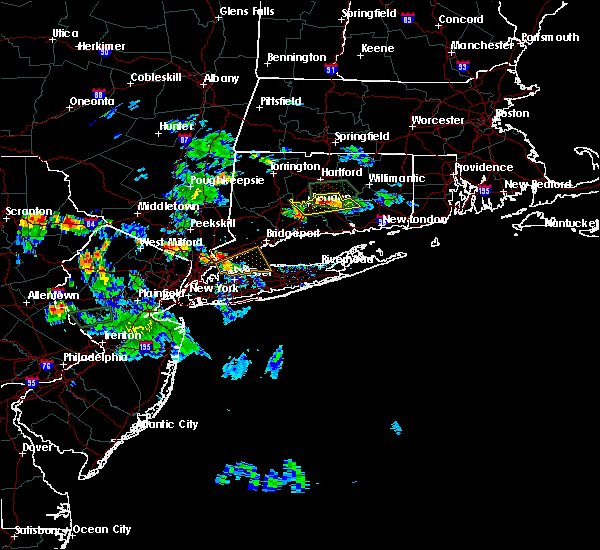 seymour and woodbridge around 610 pm edt. naugatuck and beacon falls around 615 pm edt. hamden and prospect around 620 pm edt. wallingford and cheshire around 625 pm edt. Wolcott around 630 pm edt. 6/19/2017 5:57 PM EDT At 556 pm edt, a severe thunderstorm was located over monroe, or near shelton, moving northeast at 45 mph (radar indicated). Hazards include 60 mph wind gusts and penny size hail. Expect damage to roofs, siding, and trees. this severe storm will be near, milford and shelton around 600 pm edt. derby around 605 pm edt. southbury and seymour around 610 pm edt. 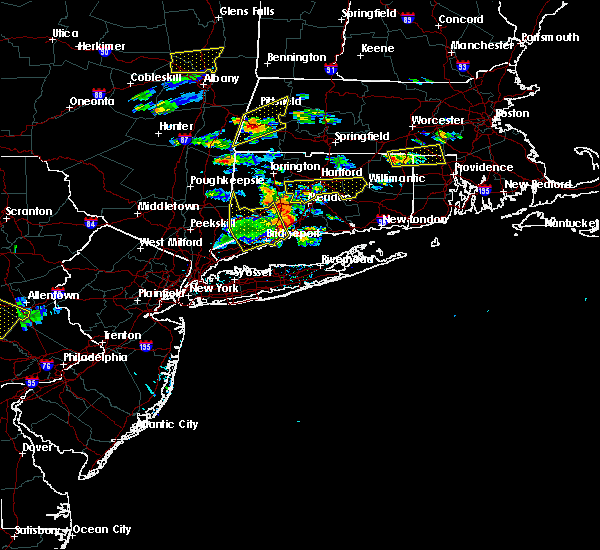 naugatuck and beacon falls around 615 pm edt. hamden and prospect around 620 pm edt. 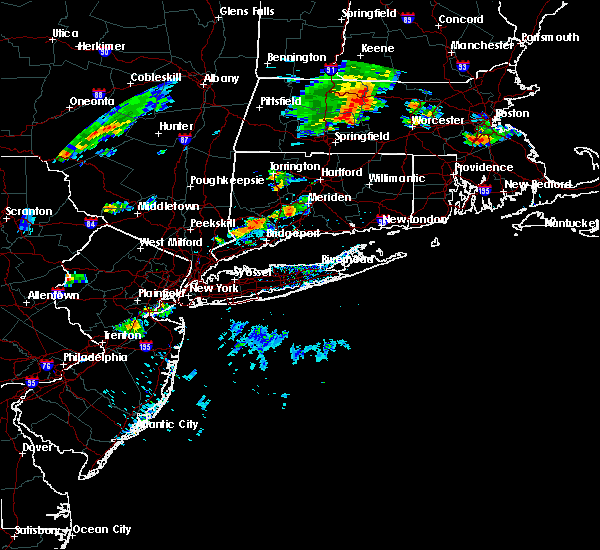 wallingford and cheshire around 625 pm edt. Wolcott around 630 pm edt. 6/19/2017 5:34 PM EDT At 534 pm edt, a severe thunderstorm was located over new canaan, moving northeast at 45 mph (radar indicated). Hazards include 60 mph wind gusts and penny size hail. Expect damage to roofs, siding, and trees. this severe thunderstorm will be near, georgetown around 540 pm edt. weston around 545 pm edt. bridgeport and fairfield around 550 pm edt. trumbull around 555 pm edt. milford and shelton around 600 pm edt. orange and derby around 605 pm edt. 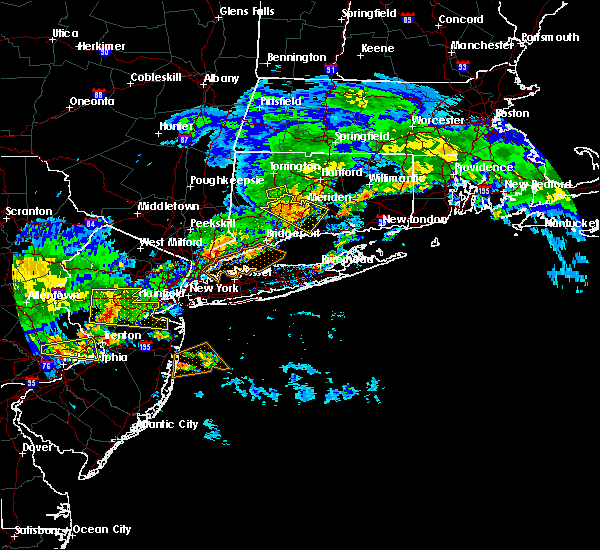 seymour and woodbridge around 610 pm edt. naugatuck and beacon falls around 615 pm edt. hamden and prospect around 620 pm edt. 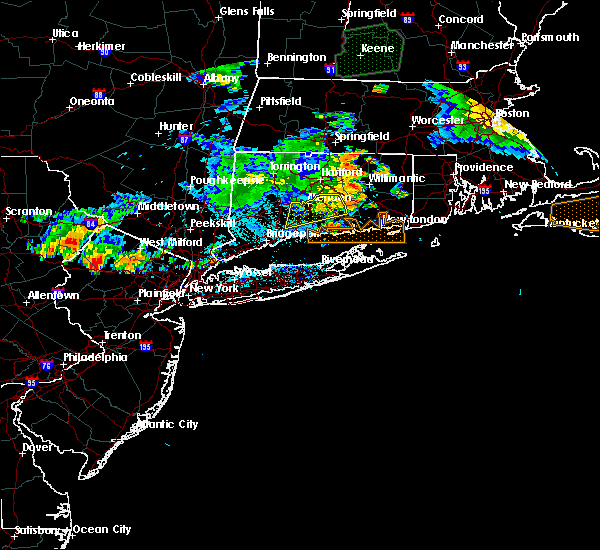 wallingford and cheshire around 625 pm edt. Wolcott around 630 pm edt. 8/14/2016 1:08 AM EDT The severe thunderstorm warning for northern middlesex and central new haven counties will expire at 115 am edt, the storm which prompted the warning has weakened below severe limits, and no longer pose an immediate threat to life or property. therefore, the warning will be allowed to expire. 8/14/2016 12:59 AM EDT At 1259 am edt, a severe thunderstorm was located over middlefield, or near middletown, moving east at 40 mph (radar indicated). Hazards include 60 mph wind gusts. Expect damage to roofs. siding. and trees. this severe storm will be near, cromwell around 105 am edt. east hampton, portland, east haddam, haddam and lake pocotopaug--east hampton around 115 am edt. Other locations impacted by this severe thunderstorm include moodus, higganum, east haven and madison. 8/14/2016 12:36 AM EDT At 1236 am edt, a severe thunderstorm was located over naugatuck, moving east at 35 mph (radar indicated). Hazards include 60 mph wind gusts. Expect damage to roofs. siding. and trees. this severe thunderstorm will be near, prospect and bethany around 1240 am edt. 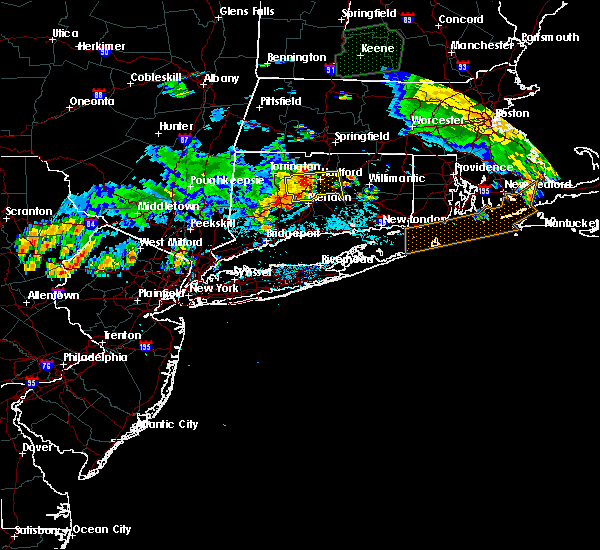 hamden and cheshire around 1245 am edt. wolcott around 1250 am edt. wallingford around 1255 am edt. 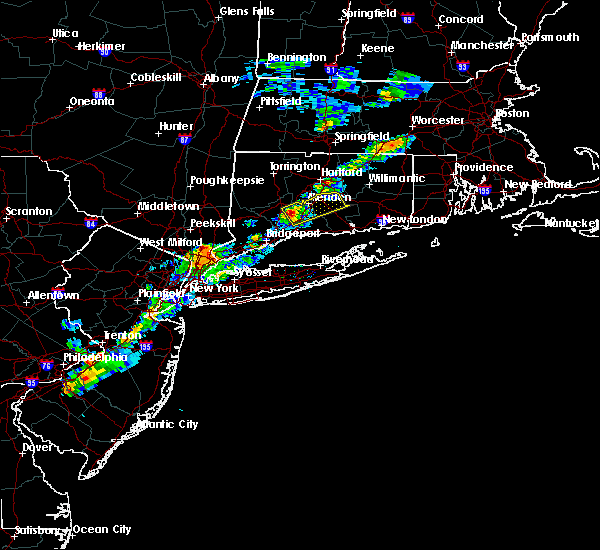 meriden, durham, hartford and middlefield around 105 am edt. middletown and berlin around 110 am edt. 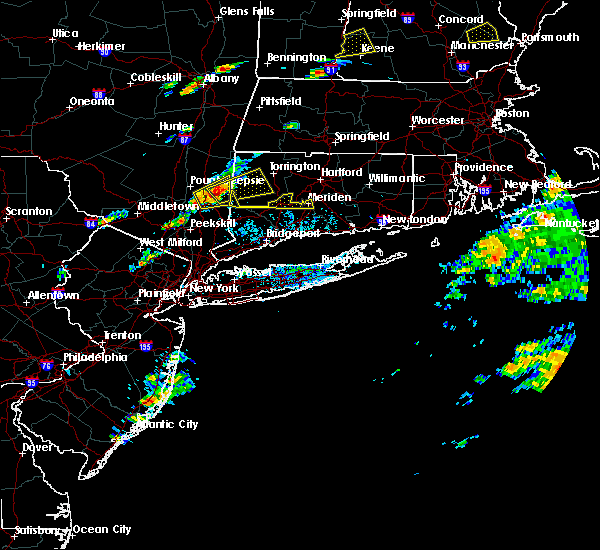 east hampton, cromwell and portland around 115 am edt. Other locations impacted by this severe thunderstorm include oxford, moodus, higganum, ansonia, easton, east haven and madison. 8/11/2016 7:37 PM EDT At 736 pm edt, severe thunderstorms were located along a line extending from east hampton to meriden, moving southeast at 5 mph (radar indicated). Hazards include 60 mph wind gusts and quarter size hail. Hail damage to vehicles is possible. expect wind damage to roofs, siding, and trees. these severe storms will be near, east hampton and marlborough around 740 pm edt. durham, east haddam, haddam and lake pocotopaug--east hampton around 745 pm edt. Other locations impacted by these severe thunderstorms include moodus and higganum. 8/11/2016 6:53 PM EDT At 653 pm edt, severe thunderstorms were located along a line extending from near lake pocotopaug--east hampton to near meriden, moving southeast at 5 mph (radar indicated). Hazards include 60 mph wind gusts and quarter size hail. Hail damage to vehicles is expected. expect wind damage to roofs, siding, and trees. 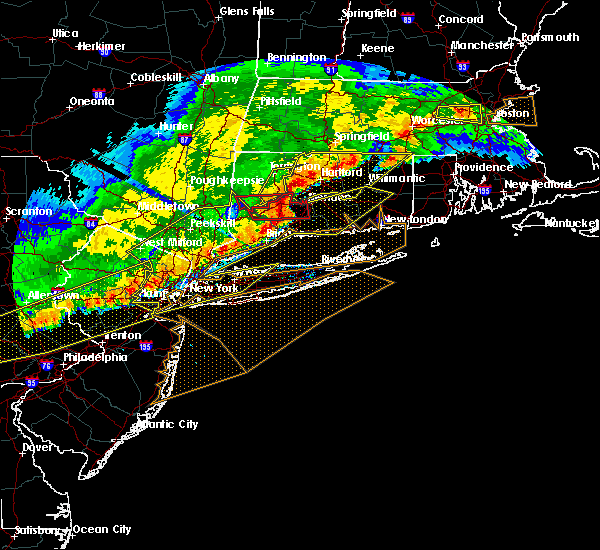 severe thunderstorms will be near, east hampton, cromwell, portland and marlborough around 700 pm edt. middletown and hartford around 705 pm edt. wallingford around 720 pm edt. middlefield around 730 pm edt. 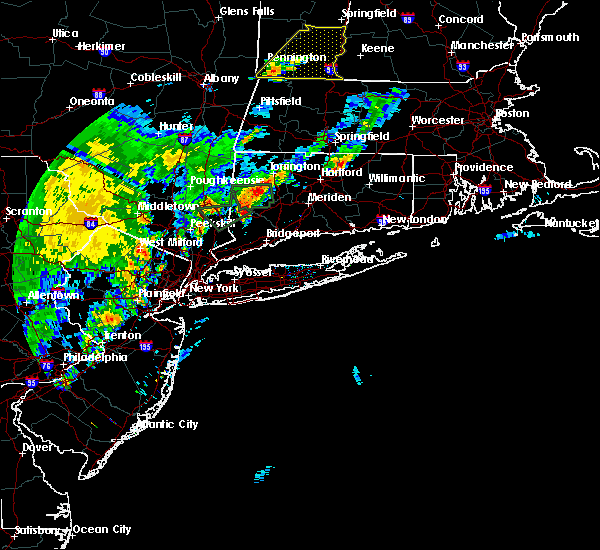 durham, east haddam, haddam and lake pocotopaug--east hampton around 745 pm edt. Other locations impacted by these severe thunderstorms include moodus and higganum. 4/1/2016 7:22 PM EDT At 721 pm edt, doppler radar indicated a severe thunderstorm capable of producing quarter size hail and damaging winds in excess of 60 mph. this storm was located over cheshire, or near wallingford, and moving northeast at 70 mph. * this severe thunderstorm will be near, meriden, guilford, durham, hartford and middlefield around 730 pm edt. middletown and berlin around 735 pm edt. 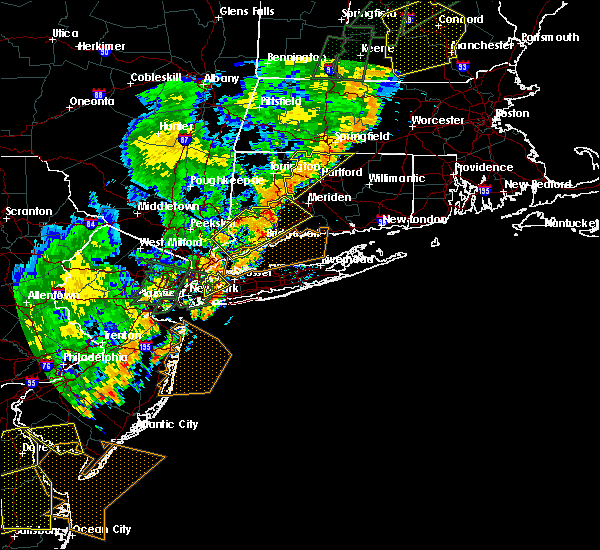 east hampton, rocky hill, cromwell, portland, haddam and lake pocotopaug--east hampton around 740 pm edt. east haddam and marlborough around 745 pm edt. colchester around 750 pm edt. other locations impacted by this severe thunderstorm include higganum and moodus. 2/25/2016 12:38 AM EST At 1238 am est, doppler radar indicated a line of severe thunderstorms capable of producing damaging winds in excess of 60 mph. these storms were located along a line extending from cheshire to near stratford, and moving northeast at 50 mph. 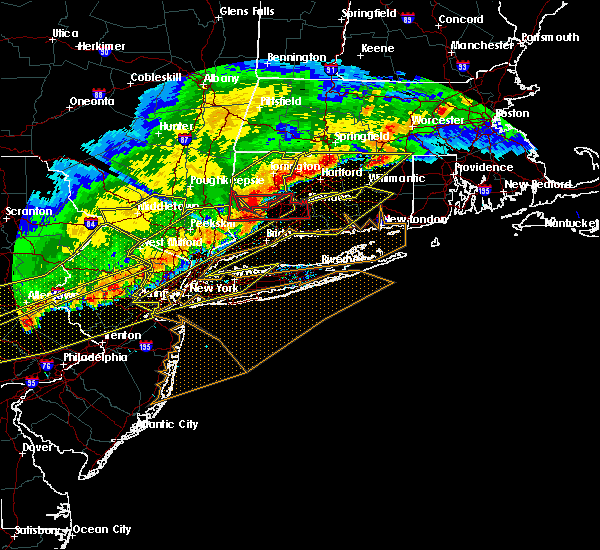 * severe thunderstorms will be near, wolcott around 1245 am est. 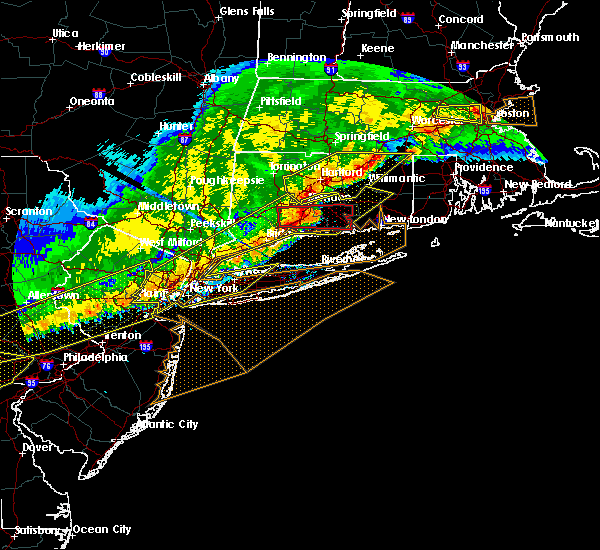 branford and woodbridge around 1250 am est. hamden, north haven and bethany around 1255 am est. wallingford, guilford, durham and north branford around 100 am est. 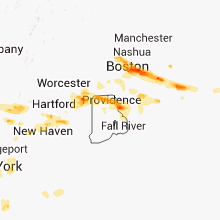 meriden, middletown, hartford and middlefield around 105 am est. berlin and cromwell around 110 am est. portland around 115 am est. other locations impacted by these severe thunderstorms include east haven, ansonia, west haven, woodmont, oxford and madison. 6/23/2015 4:32 PM EDT At 432 pm edt, doppler radar indicated an area of severe thunderstorms capable of producing damaging winds in excess of 60 mph. this storm was located over wallingford, and moving east at 55 mph. penny size hail may also accompany the damaging winds.